Adlene Guedioura nearly scored an early goal-of-the-season contender with a stunning attempt for Nottingham Forest. The midfielder, who had already scored the opener against West Brom at the City Ground on Tuesday night, almost went one better with an incredible effort from inside his own half, which appeared to be heading for goal until Sam Johnstone got back to tip it wide. 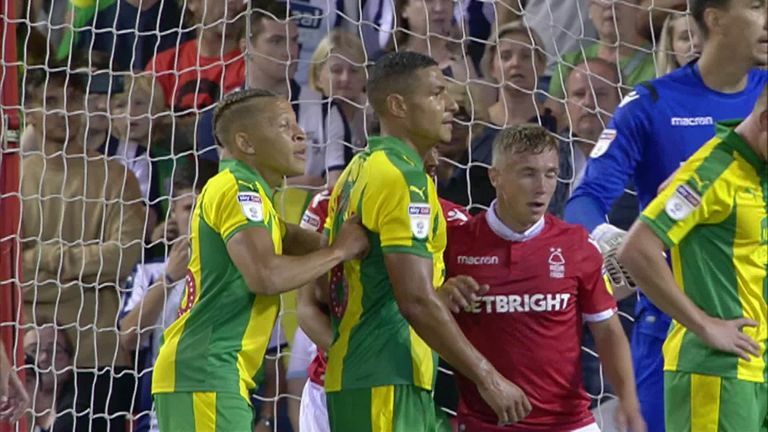 Eventually, however, Forest would pay for the missed opportunity as Matt Phillips scored the equaliser for West Brom in a 1-1 draw in the Sky Bet Championship. But Guedioura`s superb effort, which nearly capped a superb display, will live long in the memory.